Five years in and I finally feel an earthquake worth writing home about. 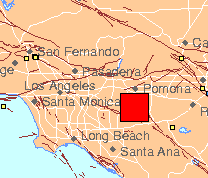 This one was 5.4 and only a few miles away, near Pomona. And 1 aftershock. Or maybe that was the building settling back into its foundations. My first thought: the puppy upstairs has really grown… and can run really fast.